I’m a gamer, I’m a geek. Sci-Fi fan. Fantasy fan. Like many a tabletop RPG fan, I got started back in high school. It was AD&D that got me into the scene with my first Paladin. ’Nuff said. Then I started getting into White Wolf games with my gaming troupe. Vampire, Mage, Werewolf, all three got me interested. My biggest success was GMing a Vampire: The Masquerade game that lasted just about a year. I ran a Camarilla game that was set in Chicago, IL. 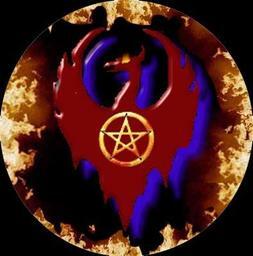 Meanwhile, a friend of mine ran a Sabbat game that he had set in Milwaukee, WI. With the creativity flowing, we ended up crossing our games over into each other that ended in a grand finale where Methusela were awoken, a Fire Elemental was set loose on the city, a Wendigo spirit was summoned to combat it, a doorway to Hell was opened and the Technocracy launched a nuclear attack that reduced downtown Chicago to a giant crater. After that great success, I started getting into Exalted. That game has everything I’m a fan of and then some. I’m currently looking to run or play in a game with other gamers I know. I have many many ideas for an Exalted game. Otherwise, I’m looking to play in a game if anyone I know is looking for another PC.